Hundreds of tenants in Gloucestershire will soon benefit from renewable heating systems after Stroud District Council was awarded the largest amount of funding under the Government’s energy initiative. The Council won nearly £900,000 under the latest round of DECC’s Renewable Heat Premium Payment (RHPP) competition. Stroud District Council will replace heating oil with air source heat pumps in 400 homes, helping increase energy efficiency in council properties. In a bid to make properties more energy efficient and help tenants reduce their fuel bills, the Council has committed to spending more than £12 million in the next few years to install renewable energy products. It has also created a “show home” in King’s Stanley – a village located southwest of Stroud – which has been fitted out to demonstrate technologies that will be installed in tenants’ homes in order to show them the positive difference the improvements can make. 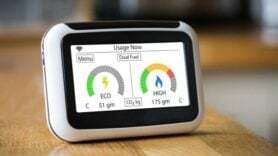 Earlier this month the Government revealed the tariff levels for householders who generate heat from renewable technologies.